It’s been a whole year since we launched PS4 Pro – how times flies! If you’ve just picked up a PS4 Pro and a 4K TV, or maybe you’re thinking about taking the plunge over the holidays, you’re probably on the hunt for as much 4KTV-friendly content as possible. So the PlayStation.Blog team put together this guide to help readers new to the PS4 Pro scene. We’ve collected some of the top picks that show off PS4 Pro’s numerous benefits. And with more than 225 available games that deliver an enhanced experience on PS4 Pro, there’s no shortage of content to choose from. First, a quick overview on 4K and HDR. 4K content (games or video programming) displayed on a 4K TV will result in a clearer and more detailed image, giving you four times the pixels you see in full HD content. This greatly enhances the experience in games like Gran Turismo Sport, giving you a stunning view from the driver’s seat as the impressive visuals of the track environment race by. I often describe the feeling of watching 4K as “looking through a window” into the world shown on screen. HDMI: If you’re the kind who moves your PlayStation between rooms or homes regularly, make sure that the pack-in Premium High Speed HDMI Cable makes the trip too, as it’s the key to getting 4K resolution out of your Pro-4K TV pairing. Need a second cable? Don’t worry: Premium High-Speed 4K-compatible HDMI cables can be found at prices comparable to standard HDMI! Calibration: When you boot up your PlayStation 4 Pro for the first time, head over to the Video Output section of the console settings. There, you can tweak the resolution, RGB Range, HDR, and Deep Color Output. If you have a 4K TV and get a message about an application supporting 4K and the output displaying in 2K, the fix may be available in your TV’s visual settings. HDR is another recent display technology that can bring striking benefits, generally in the form of more vivid, dynamic colors, deeper blacks, and brilliant highlights when watched on a compatible TV. 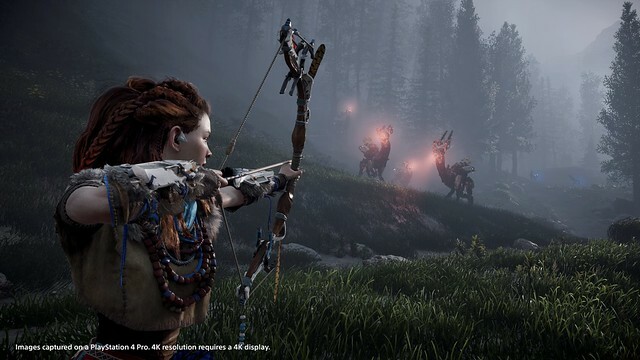 You’ll notice how HDR enhances the colors in Horizon Zero Dawn’s lush and vibrant environment, bringing Guerrilla’s vision to life in vivid detail. Ideally, you’ll have 4K and HDR working together, which is showcased beautifully in the dynamic weather and lighting effects of Days Gone using dynamic 4K and HDR. More games will start to support both 4K and HDR as developers spend more time on PS4 Pro. Even more ideally, you’ll be watching all this content on an OLED-based TV… but that’s a topic for another post. All these enhancements add up to a superior gaming or viewing experience. Read on to see our top picks for the new PS4 Pro and 4K TV owner. Got a recommendation to add? Leave it in the comments below! Developers tap into PS4 Pro’s increased power in different ways, with the ability to choose various features and enhancements depending on the experience they want to achieve for the gamer. Examples include giving frames per second (FPS) a boost, which produces smoother locked framerates or faster targeted framerates; graphics enhanced with anti-aliasing technique – for example, you can see images with soft features such as rounded corners and faces appear smoother and more visually realistic; displaying imagery that is more intricate, increasing the amount of images on screen at once. Here are a few games we recommend for a PS4 Pro newcomer. Horizon Zero Dawn and its new expansion The Frozen Wilds boasts a beautiful dynamic 4K implementation on PS4 Pro, which means crisp, clear vistas bristling with dangerous machines. The HDR implementation is a stunner too, especially with light sources: sunsets radiate rich reds and oranges, while staring at the sun is almost blindingly bright. Additionally, a recent free update enables players to favor resolution or framerate performance via an in-game setting — the choice is yours! What’s already an all-out beautiful game with gorgeous use of color and high frame rate on PS4 gets a significant boost on PS4 Pro, offering up a more consistent framerate and higher resolutions. A good excuse to revisit one of 2016’s best games. Missed one of this generation’s greatest RPGs? Here’s your chance to catch up. 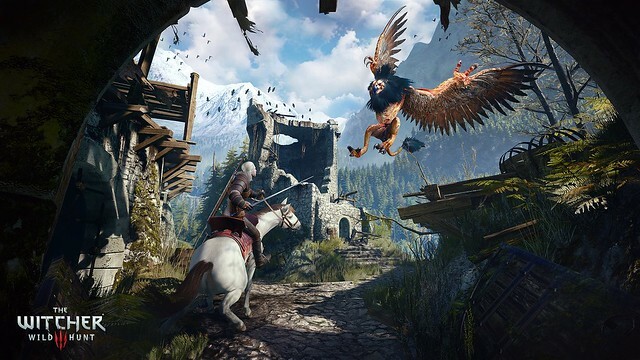 Two-and-a-half years later, The Witcher 3 gets a new layer of visual luster thanks to a new PS4 Pro update that adds 4K support and a slight boost to performance. Short of sneaking onto a comic book movie set, Injustice 2 on PS4 Pro gives you the best-looking superheroes possible. 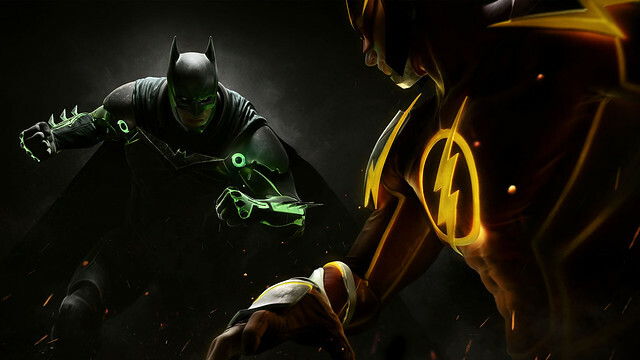 Already outputting combat at 60FPS during battles, Injustice 2 on PS4 Pro in 4K comes runs at higher resolution with enhanced motion blur, depth of field and overall higher quality post-processing. The HDR support also lends the characters and special effects more pop. 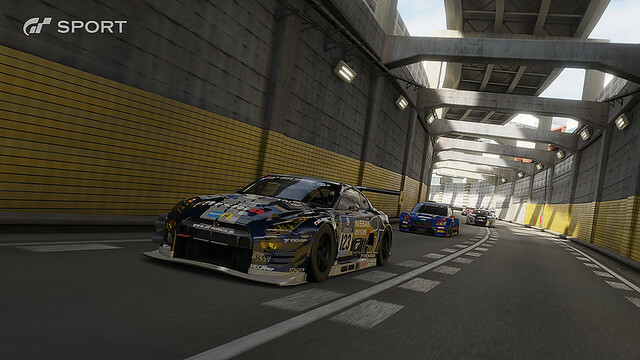 Gran Turismo has spent the last two decades pumping out legendarily impressive visuals, while ensuring its place as the real driving simulator. Now, GT Sport hits a new top speed on PS4 Pro. On top of the 4K resolution and the multitude of HDR options (including a setup process that lets you test out how you want colors to display before hitting the track), you can also have an option to choose between a more consistent framerate or a higher resolution. Lara Croft’s latest adventure brings some tantalizing graphics options for PS4 Pro owners. The 4K Visuals setting is a great choice for 4K TV owners with its high resolution, while the High Frame Rate and Enriched Visuals settings lock the resolution at 1080p but offer enhanced performance or visual detail, respectively. One of the more impressive examples of what PS4 Pro can do — it’s a feast for the eyes. NBA 2K18’s PS4 visuals are already sensational, but PS4 Pro amps up the all-star visuals to Hall of Fame territory. 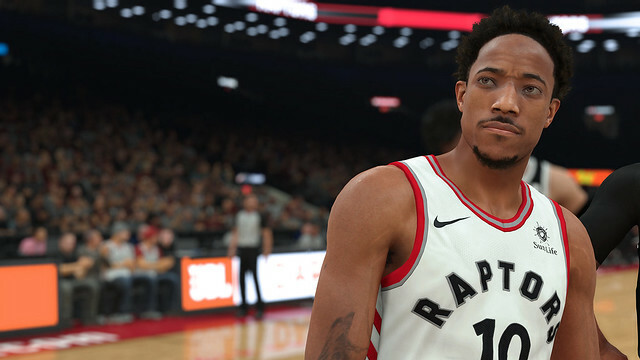 The already courtside-quality visuals (which run at 60FPS during gameplay) get a 4K upgrade with PS4 Pro, making every player including those created by users for MyCareer mode crystal-clear on a 4K HDR TV. 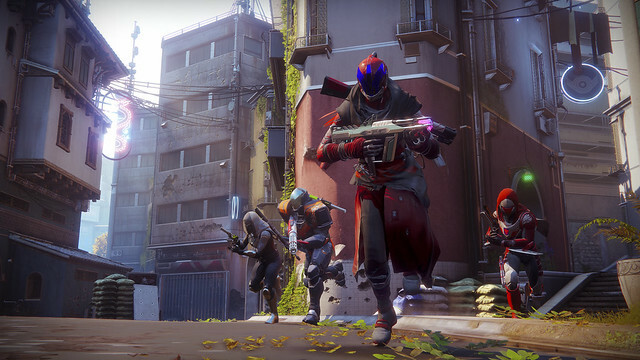 Destiny 2 includes dynamic 4K visuals to make your raids look suitably eye-popping. Definitely a visual standout on PS4 Pro, and we are beyond excited for the HDR update coming on December 5. 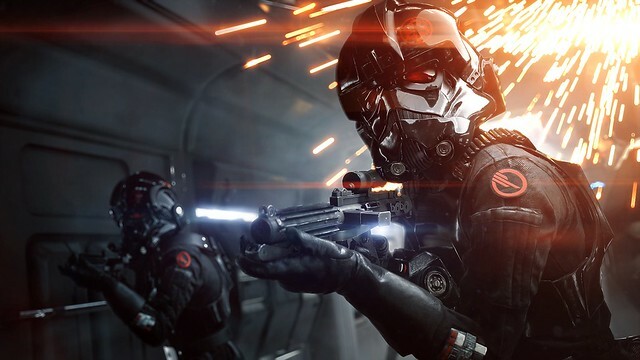 Battlefront II on PS4 Pro features an increased dynamic resolution for gameplay on 4K displays and a more consistent framerate, making it a great way to experience the all-new campaign and a multiplayer experience that spans all three cinematic eras. 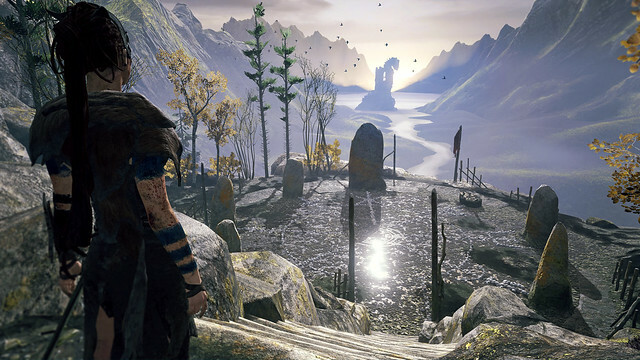 Hellblade: Senua’s Sacrifice: This atmospheric journey really shows what PS4 Pro can do. It looks razor sharp, but you can also choose to emphasize framerate instead. A standout PS4 Pro implementation for Ninja Theory’s inspired game. In addition to all of these gorgeous titles you can pick up today, there are several titles we’re looking forward to on the horizon that showcase the power of PS4 Pro, including Marvel’s Spider-man, Far Cry 5, and Days Gone. With a subscription, Netflix, Hulu, and YouTube support 4K streaming on select content, and Netflix recently added an update adding HDR for PS4 Pro users. Here are a few shows that show off what’s possible. 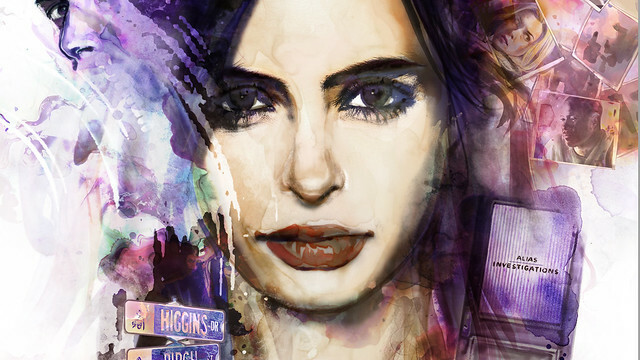 The combination of 4K streaming and HDR adds grit and atmosphere, with the show’s deep black levels and super saturated colors practically popping off the screen. Season 2 is out now! 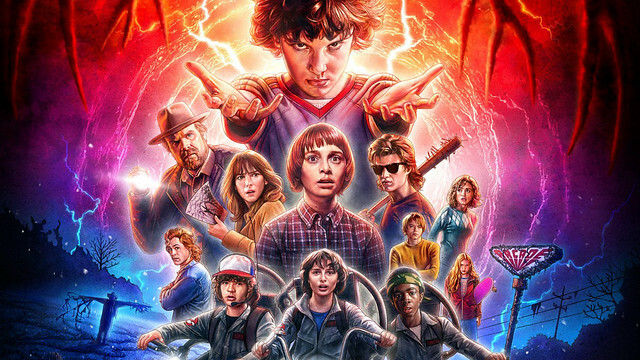 Stranger Things’ 4K streaming and HDR adds depth and nuance to the hit show’s mysterious tone. Watch Future Man, Hulu’s latest Original Series, in 4K on PS4 Pro when it premieres. This new comedy series from Executive Producers Seth Rogen and Evan Goldberg stars Josh Hutcherson (The Hunger Games), a janitor-by-day/gamer-by-night tasked with saving the fate of humanity. All episodes now streaming only on Hulu. This feature only scratches the surface of 4K content, but if you want to whet your appetite for more, check out PlayStation’s YouTube channel, which includes 4K videos and trailers of top current 4K games like For Honor and Watch Dogs 2 as well as upcoming games like Days Gone! My recommendation is adding 4K Blu-ray support. PS4 Pro has a simple Blu-ray drive. It was never intended to have the hardware for UHD disc playback. We know the Pro currently doesn’t have UHD. But if you want me to buy one, you have to put it in the console. Otherwise, I’ll just switch to an Xbox One X since they also have CDs than you can easily add but don’t. Amen. Call it the PS4 Pro Blu Ray edition, whatever, it’s a serious detriment to not have such a simple thing. Any chance you can work with Google to get 4k HDR support on the PS4 Pro YouTube app? I just have TWO huge request, please make an official list of all PS4 Pro Enhanced games and, more importantly, the ability to download enhancement data on your PS4 (in addition to the PS4 Pro). Microsoft does both of these. The reason for the latter is I want to have better storage management of my external HDD. If I use it up my external HDD storage on my PS4, then I would have to delete stuff when I try to download the enhancement on the PS4 Pro. But if I can download them now while still on the PS4, I will have better storage management. Also, please allow to use two external HDD at once. Thanks. @steeler192 on the web store, some games have it in their description like Uncharted 4. But I agree with you it should be a mark on the game to know without needing to click on the game. This is why I just want a list. Major Nelson made a list of all Xbox One X enhanced games. Also, on Xbox One, there is a tab to see all your enhanced games. PS4 should have that too. But more importantly, the ability to pre-download the enhancement now is very important especially for those of us who use external HDD support. I have 600GB less of my 5TB external HDD. Because I do not know how much I need for Pro enhancement, I do not know if that is enough. So to be safe, I am going to get another portable external HDD. I know that PS4 Pro enhancements are explicitly mentioned in each supported game’s descriptions: it’s in the publishers best interests to do so since it’s a differentiating feature. What I meant was that, when making purchase decisions, each PS4 owner has to do their homework when it should be as easy as browsing a dedicated section of the Store or looking for a mark when flipping thru a long list. Once they’re inside the Library, I don’t care for filtering Pro games. Selecting a game to play should be based on fun. I don’t think I understand what you mean about the storage issue, though. AFAIK, Pro enhancements come when developers bake them into a patch, so you get Pro support after the patch is installed even if you have a regular PS4. I’ve heard that Microsoft makes OneX enhancements like DLC that’s delivered only for those with OneX consoles, and if that’s correct, I see it as a sign that they care about not wasting One/OneS console’s disk space. What does “bake them in the patch” mean? Does it mean when a game is updated to the Pro enhanced, standard PS4 users will get the update too even though they can’t take advantage of it? So, for example, Rise of the Tomb Raider on my PS4 will already have the Pro enhancement therefore, I won’t need any additional download when I try to play it on a PS4 Pro? If that is correct, that is good. It is also bad because it is wasting bandwidth and storage for people. But it is good for me. On the XB1, the download for the X enhancement is a separate patch so it does not automatically download. But you can set it to do so. It is, however, automatically download on the XB1 X. Therefore, on my XB1, I already download all the X enhancement for my games. I want to download all my Pro enhancement on my PS4. But it seems, according to you, all PS4 users get the Pro enhancement even though they are NOT on a Pro. And when they plug their external HDD into a Pro, the game will play without any additional download. In the XB1 X, the game will need the additional download, if you did not pre-download prior. Yes, that’s what I meant: a Pro enhanced game is the same size for both PS4 kinds, because it contains 4K and 2K assets as well as regular and Pro code. If the game is installed to an external drive, will play enhanced on a PS4 Pro with no additional downloads. It’s a different approach than Xbox, and it’s good or bad depending on how look at it. Wow, awesome. Thank you. This resolved one of my issue. P.s. I apologize for my confusing previous message. I just re-read it and it makes no sense. I went over the character limit and tried to edited down. I did not do a good job. Happy holidays and happy gaming! No need to apologize, friend. It’s ok. I’m sorry I didn’t read your reply until now and didn’t wish you a happy thanksgiving. Thank you very much! I hope you had a fantastic time with family and friends. Happy Friday! Erm… On the PlayStation Store there is section labeled PS4PRO that has all of the PRO-enhanced games. Unless of course I am completely mistaken, that is…? Where are you folks seeing labels that indicate PS4 Pro support on the game page? I’m checking on my phone’s PlayStation app and on my PC and neither are showing any info for PS4 Pro support. In fact I’m more often seeing info regarding Remote Play, than I am Pro support. @SudZero i’m definitely not seeing a PS4 Pro section in the store, please advise where to look, thanks! Really feeling like Sony is treating the Pro like a cash grab or a mere marketing strategy against the X (at the time, Scorpio). It’s crazy I’ve had my Pro for over a year and I still need to search online for not only what games have Pro support, but what that support actually entails. That’s going to be up to the developer. 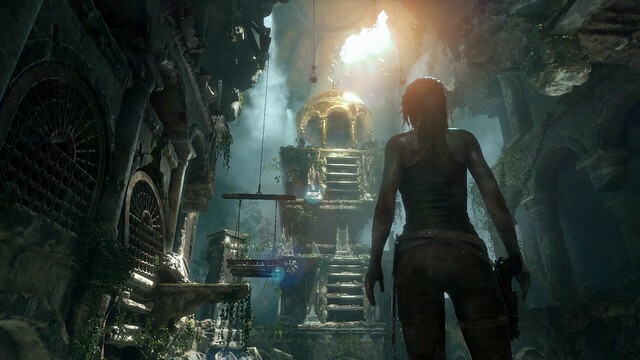 Some games do run at higher framerates on the Pro though — like Rise of the Tomb Raider, which offers a 60 fps mode. I felt the same way until I saw a game in 4k HDR in my living room. I couldn’t justify buying a 4k TV and on my 1080 the only thing that mattered to me was more FPS. Then I broke down and bought one since I already had the PRO. Since then, I no longer care about FPS beyond a stable 30. The “Cinemotion” on my TV (SONY X900E) can actually simulate frames and make a 30 fps game look like it’s running 60+. The Witcher is absolutely breathtaking and runs smooth as butter. I’m way happier seeing 4k HDR enhancements then simple FPS improvements now. That would require a much more powerful CPU. Upgrading the GPU was easy enough, but upgrading the CPU would require significant changes to the architecture of the PS4. That’s something you save for a new generation. It also alienates those who don’t buy the upgraded version. The Pro was only ever designed to be a better PS4, not a PS4.5 or PS5. Same generation, just some quality enhancements. Vipermark2, I agree with this one. Resolution will only go so much, and with PCs going into 144Hz and greater, console will be left behind in next generation. 60Hz has to be standard. I know there’s techniques for some games this generation to lessen the negative effects of hovering around 30fps, but it just has to be standard. But we’ll eventually get there. But about your TV using motionflow, I think if you have this turned on (Sony X900E), while playing a game, you add extra input lag to your view of the world to the servers, if playing a MP game. I’m not sure about this one, but it is a big enhancement from the TV, and the more enhancements you have running the more input lag from the TV to what you do. I think that’s why certain things are turned off in certain modes. But that doesn’t mean turn everything off, just stray away from many big enhancements. There’s several review sites out there, like rtings, that give the technical details of the new TVs. I should also say the speed of the HDMI cable is important too. For 4K HDR. I don’t think all of them are standard yet, so you need one that’s pretty fast, to handle HDR, specifically full bit color, if your TV supports it. I don’t know it’s been a long time since I researched it, but it’s at least for that. And then certain TVs you have to plug that cable into a certain HDMI port, and then you’ll get the full benefit of high deep color. I just recently acquired a 65″ Sony 850E and my bother last night the 65″ 900E, make sure you bury your way into the external input setting and enable the Enhanced HDMI setting, effectively enabling HDMI 2.0. Next in picture settings turn on Game mode which will shutdown all that artificial processing. You shouldn’t be disappointed, unless you have a first generation VR processor box which doesn’t support HDR pass-through, which will require you disconnecting it when you want to play anything with HDR. I’m surprised this post fails to mention Uncharted: Lost Legacy. That game, in my opinion, is far and away the best looking game in 4k on the PS4 Pro. Why does the article suggest people use OLED? They have atrocious response times and at this time they are the worst screen for gaming. I expected some knowledge considering the topic of the article. No, no, no. Video games are not meant to be played they are meant to be watched. They are like movies. Also please buy our Sony 4k UHD HDR OLED TVs. Atrocious response times? According to everything I’ve read OLED has the fastest response times of every tv currently available. No, oled screen is the best screen for gaming, I have lg b6 oled 4k tv, playing ps4 (pro) on it is amazing. I am using a 65″ Sony 4K UHD HDR OLED. I don’t notice any issue with response times. In fact, it works amazingly well. If you are having issue with your OLED, configure your TV better. If you don’t have OLED, stop spreading falsehoods. Need to work with VUDU to get UHD movie support. No UHD Disc Player this would be the only good avenue for UHD movies on PS4. I would like Vudu to either support UHD via the PS4 Pro or my Sony 65″ OLED directly. In meantime, I just choose to get the UHD movies through Google Play. The movies purchased through any of the streaming services that are part of Movies Anywhere are available on all the services regardless of where you buy. Basically right now which service I use depends on which one supports the highest quality on my TV or game system. Would be great if an external UHD bluray drive is released for the Pro to play 4K blurays. It would satisfy both current owners and potential customers. I own both the PS4 Pro and the original PSVR headset but I cant get HDR bypass due to design issue of the PSVR. Why cant you give a proper solution to all the early PSVR adopters but instead of penalising use due to your design flaw? No doubt, I heard about the second generation processor box, but sadly it’s proprietary to the headset it’s released with. Like you, my only solution is to invest in a couple of bi-directional HDMI switches to create my own HDR pass-through, it’s actually the only cost effective solution for first generation VR owners. I’m appalled by Sony’s lack of forethought. Calling it a design flaw is pretty ridiculous. It’s perfectly understandable considering it came out over a year ago (so design work started much earlier) and they were designing a system to sell for nearly half the price of what was out at the time for a customer base that, even now, is largely on basic 1080p displays without HDR. Even on a PC, HDR hasn’t been supported all that well until recently. I guess people will forever enjoy whining and blowing things out of proportion. I personally don’t find it to be more than a minor inconvenience. Lay off the early adoption, especially for something that will be lucky to have another year of full support. It’s been a year. Why doesn’t PlayStation Video offer 4K movies yet? I can1t understand it too! It’s like they don’t support their own hardware! crazy! I have had my PS4 Pro for the last year on 1080P TV and still found it great. Boost mode and load time were enough to make me love it. I just bought a budget 4k HDR TLC 43″ got it 2 days and wow what a upgrade! I feel at least all AAA games should be 4K HDR enhanced now that the PS4 Pro is a year old. It’s funny, I’ve been enjoying the opposite – a regular PS4 on a lower-end 49″ 4K/HDR Bravia X700D. I finally broke down and nabbed a white Destiny 2 edition Pro on sale from Amazon the other day. Looking forward to the upgrade! LOL, terrible TV’s. At least HDR will help you get some halfway decent contrast. If only they supported the ps3 Bluetooth devices on ps4 then it would have been a legendary console. But I guses greed rules all. You call it greed; they call it cost/benefit analysis. A fancy way to describe greed. It is wise to wait and see, indeed they’ll either come out with a third model, or the PS4 Pro will drop in price. Win-win. There’s no mention of the Amazon Video app here… but I’d recommend “The Grand Tour” . That show is available in 4K HDR if the app supports it and is probably the best video I’ve seen to use both. Do something SONY please. It has been a whole year! Wipeout Omega was the main reason I went 4K + HDR and I have not been disappointed. I’ve also noticed improvements in Witcher 3’s graphics & load times (although it should be mentioned that Witcher 3 does not support HDR, but it still looks great in 4K). Really looking forward to Ghost of Tsushima in 4K too. Good article, but I would love to know when/if Amazon will be offering 4K content soon? It was advertised when the PS4 Pro launched and I know Apple TV is also waiting, so I am not sure if there is some exclusive deal Amazon has with Microsoft that has to expire, but it would be nice to get some clarity as to why it is limited to 1080p. Nice to know that Hulu on PS4 Pro also supports 4K. 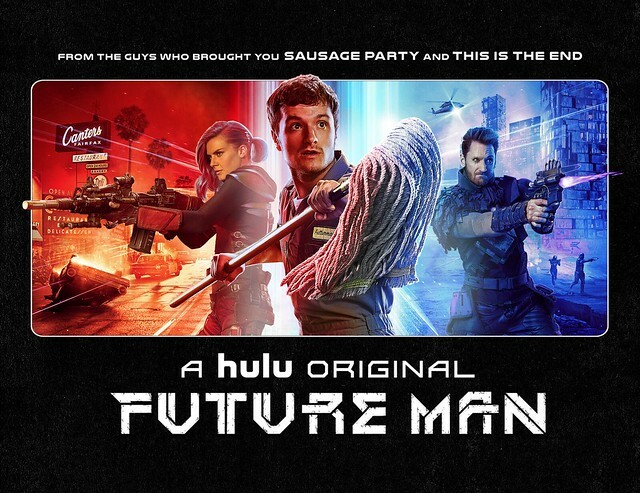 It doesn’t make it obvious as I did watch Future Man but didn’t know it was a 4K stream. Would be really nice if Amazon Instant Video and Vudu streaming apps on PS4 Pro can also get 4K support. In terms of the PS4 Pro enhanced games, I am playing through and thoroughly enjoying replaying Horizon Zero Dawn which I originally played on my launch PS4. After that, I intend to play Witcher 3 and Rise of Tomb Raider on it as well. Had a PS4 pro for a few months now, but I got a 4K (sadly no OLED, Sid :p ) on Black Friday and wow, the graphical upgrade for some of these games caught me off guard. Also, it’s mentioned in the post that sometimes you’ll get a notification saying you’re TV made support a higher resolution or HDR and to check your TV’s settings. I wanna add that for me, even after I changed my TV’s settings I still couldn’t choose the highest color output setting until I actually started up a game that supported HDR (I tried Destiny 2). Just a heads up. I love what Sony does, but let’s be honest here: In terms of 4K, the PS4 Pro has terribly misleading marketing. It is not truly a 4K machine in any sense of the phrase. 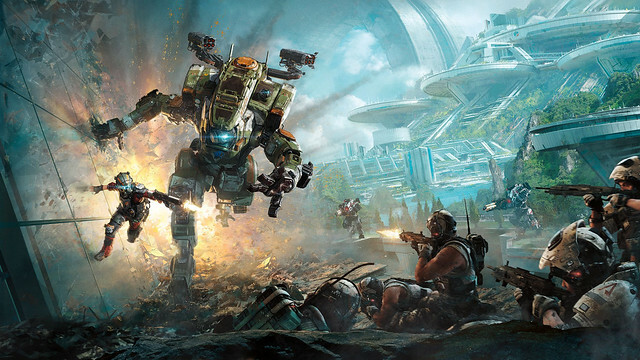 Digital Foundry gives us compelling tech analyses of many games. 1440P upscaled to 4K is very common for the majority of Pro Enhanced games. I just want Sony to try harder. Please don’t just rest on your laurels because your console is selling extremely well. Dynamic 4k means it’s not actually 4k, let the record show. I know the games will still have a jump in sharpness, but really, I hate marketing bull. And yeah, if you’re used to 60fps on the PC, 30fps simply does not compare, it doesn’t really matter how sharp the image is, ultimately. But marketing tends to want to focus on the ignorance of the masses, so there you go. Can you guys add 4k videos to store? Why you’re not add 4K blue ray supports. It’s annoying because i can’t watch my movies in. 4K. I hope you guys give more support on this. after being a loyal PS fan since Dec 1995, it’s sad to admit that i’ve lost interest on my PS4 Pro and PSVR, when i got this unit last year, i got rid of my PS2, PS3, PSP and Vita, today i keep the console only for the exclusives but i’m even thinking of not renewing my Plus membership, is no longer relevant to me, unfortunately SCEA stop caring about us, the consumers,as they call us, the players, i must confess that i’m having a blast with my XB1X in all entertainment aspects, i know, haters will hate, i’m just sharing my reality.